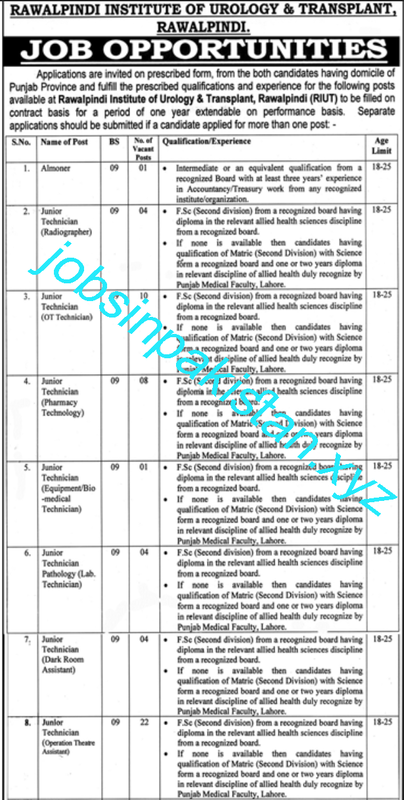 Rawalpindi Institute of Urology and Transplant Jobs 2018 is listed below. The advertisement for Rawalpindi Institute of Urology and Transplant Jobs 2018 is come on today newspaper. Rawalpindi Institute of Urology and Transplant is one of the best institutes of Urology and Transplant of Pakistan. Rawalpindi Institute of Urology and Transparent requires a applications for following empty jobs.